There are lots of ways to experience the scenic beauty of the Pocono Mountains, from trolley rides and train rides, to air tours and strolls to waterfalls. Quaint downtowns offer historic sites, museums, galleries, and interesting architecture. Music and theatre lovers can delight in blues, jazz, and blue grass, classical music and film festivals. 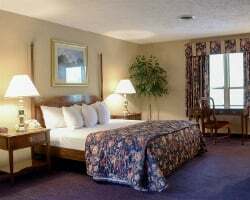 This charming mountain getaway features privacy with a warm, comfortable atmosphere surrounded by the beautiful Pocono Mountains! 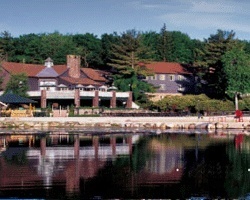 Peaceful resort surrounded by the beautiful Pocono Mountains! Floating week every year! Inquire for details! 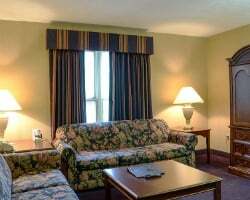 Relax in the beautiful Poconos each year in the week of your choice! Buyer may receive a title fee credit, inquire for details!! Great resort with indoor and outdoor activities year round! Buyer may receive a title fee credit, inquire for details! Biennial floating week! Year round scenic views of the pocono mountains! Buyer May Receive A Title Fee Credit, Inquire For Details! Indoor & outdoor activities available no matter the weather! Buyer May Receive A Title Fee Credit, Inquire For Details! Enjoy the scenic & fun Poconos! Odd years floating week with RTU until 2022! Buyer receives complimentary closing credit; inquire for details! Enjoy a wide variety of activities for all ages! Resort features a large onsite water park! Large indoor water park! All ages will enjoy the many onsite & nearby activities! Buyer May Receive A Title Fee Credit, Inquire For Details! Great resort with amazing amenities! Enjoy the golf course, indoor water park and more! 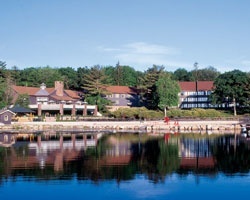 Fabulous resort in the Poconos near historical sites! Yearly usage in floating week! Make your offer! Located between Big Boulder and Jack Frost Ski Mountain! Great resort for families and couples who love to ski! FANTASTIC 4 SEASON RESORT IN THE BEAUTIFUL POCONOSPURCHASE INCLUDES 1 BANKED WEEK!! Enjoy all four seasons in Pennsylvania! Buyer May Receive A Title Fee Credit, Inquire For Details! Plenty of onsite activities available for all ages! Buyer May Receive A Title Fee Credit, Inquire For Details! Peaceful location with scenic mountain views! Buyer May Receive A Title Fee Credit, Inquire For Details! Resort is surrounded by the beautiful Pocono mountains! Buyer May Receive A Title Fee Credit, Inquire For Details! Beautiful location with scenic mountain views year round! Buyer May Receive A Title Fee Credit, Inquire For Details! Enjoy the scenic Pocono Mountains in the floating red season week of your choice each year! Buyer may receive a title fee credit, inquire for details! Ideal location to explore nature at its best! Buyer May Receive A Title Fee Credit, Inquire For Details! Motivated Seller! Pick your vacation dates with an annual floating week! Buyer may receive a title fee credit, inquire for details! Enjoy a wide variety of outdoor activities year round! Buyer May Receive A Title Fee Credit, Inquire For Details! Indoor & outdoor activities available for all ages! Buyer may receive a title fee credit, inquire for details! Come explore the Poconos! Floating week of your choice! Buyer may receive a title fee credit, inquire for details!